Movies Monday is a weekly theme column that ties together sports and movies. Permian High School football team in 1988 lost their championship game, and sometimes you have to respect the title game runner ups. The team was out-manned and out-matched through the first half and tried to make comeback in final quarter to no avail. West Canaan Coyotes quit on the coach Bud Kilmer on his reckless path to win his 23rd divisional title. They came together as a team lead but backup quarterback jonathon “Mox” and lead WR tweader. Team is willing to pull out all the stops like putting freight train Billie Bob on special team to get the win. Titans went undefeated in a controversial movie that saw the color barrier broken at TC Williams High School in Virginia. Team is led by all American defensive players Julius Campbell and Gerry Bertier which continue their dominant defense even after losing Gerry to a car accident Coach Boone played by Denzel Washington realized he is out coached and makes half time adjustments and puts athletes on both sides of the ball. Bobby Boucher (Adam Sandler), who began the movie as the waterboy of the football team, later turning into an All-American linebacker, helping lead South Central Louisiana State University to a National title. The team was coached by “Fonzie” (Henry Winkler). True story about the Syracuse football team. 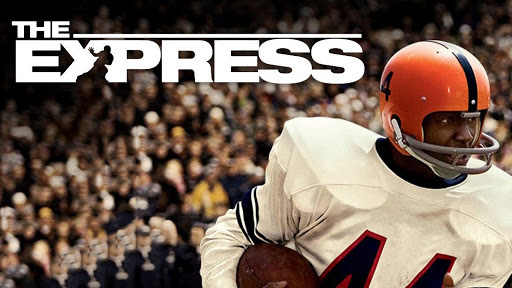 The main character was Ernie Davis who became the first African American to win the Heisman Trophy in 1961. Prior to that, in 1960, Syracuse beat Texas in the Cotton Bowl to claim the school’s first ever National Championship. Sticking with the football theme, check out our previous Movies Monday article highlighting the top football movies across several categories including fictional, high school, and real life.